How many ways you know to download videos online? To some people, savevid.me is an easy and expedite way to download videos from multiple websites like YouTube, Facebook, Dailymotion, Metacafe, Myspace, eHow etc. It wins great popularity among people. According to some netizens’ feedback, downloading videos through savevid.me occasionally doesn’t work. For this reason, it is necessary to make a savevid review. There is no more efficient way than presenting its pros and cons for you. The step to download videos through savevid.me is quite simple, you just copy and paste the video URL into the download bar, click “Download” button and choose a befitting video format and quality. Another attractive point is free, which nobody will dislike it. You can download any videos you like. At the same time, it promptly updates the latest video download so that it can provide you a reference. You can directly know the type and times of the downloaded video. In order to make sure to download videos successfully, you have to download an add-on Java for the first time to use savevid.me. Without it, you have no tool to connect the video URL. One limited condition is that Java is forbidden by Google Chrome, so you have to install it on other browser like IE and Firefox. Indeed, savevid supports plenty of video-sharing sites like YouTube, Dailymotion, Metacafe, Break, Veoh, My Space etc. But when it comes across RTMP protocol videos like Hulu, it can do nothing about them. Certainly, we can’t deny the utility of savevid to us. Simultaneously, we should know that there exist other sites like savevid, such as Videograbber, keepvid.com, Clipnabber, Savevideodownload, Downloadyoutubevideos, Vixy.Net, Savetube etc. There is no doubt that you will wonder which one of them is the best. Providing that you want to find a savevid alternative, Videograbber is your best choice. Although it has some flaw, its merit outweighs its flaw. It is totally free for you to download any videos you like from YouTube, Dailymotion, Metacafe, Spike etc. 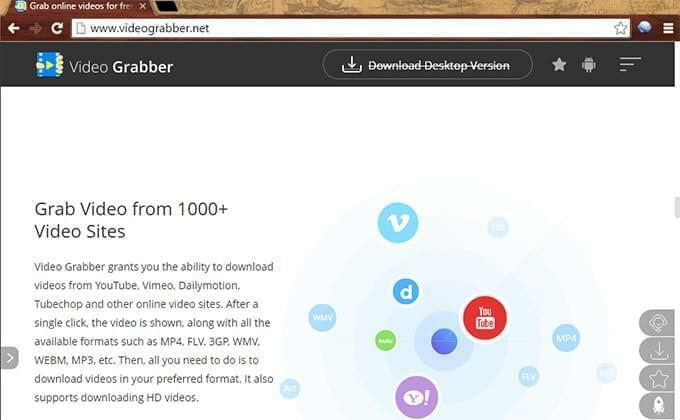 Videograbber is a direct way to download videos without downloading any add-on. 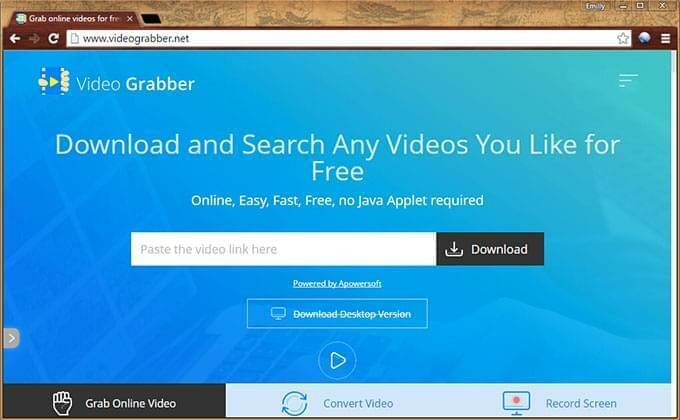 You just enter www.videograbber.net, copy and paste the video URL, then click “Grab it” button. It works for any browser, such as IE, Google Chrome, Firefox etc. Here’s the video tutorial for reference. Unlike savevid similar sites, videograbber not only supports a variety of video sites, like YouTube, Google Video, Vimeo, Break, Spike, Dailymotion etc. but also encourages you to recommend more video sites to the technical engineer. It offers you more practical functions, such as video converter, screen recorder and search engine. With them, you don’t have to install other apps on your PC. Being compared with savevid, videograbber is far more serviceable. But it still has little cons. When you want to download video in protocol of RTMP like Hulu, ABC, CNN, Ovguide etc, videograbber is impractical for those sites contain the content that are protected by original users. Or else, you cannot download live stream video because the real video URL will not be located. Automatically capture video URL and download it. Provide advanced video recorder for downloading RTMP video. Download live streaming video by recording screen. Convert video format, including avi, mp4, wmv, flv, 3gp etc. Edit video based on your preference. If you happen to find savevid alternative, or you haven’t found such a site, then don’t let this chance slip away. Hope this savevid review can benefit you a lot. Thanks for finally talking about > Savevid Review and Alternative < Liked it!